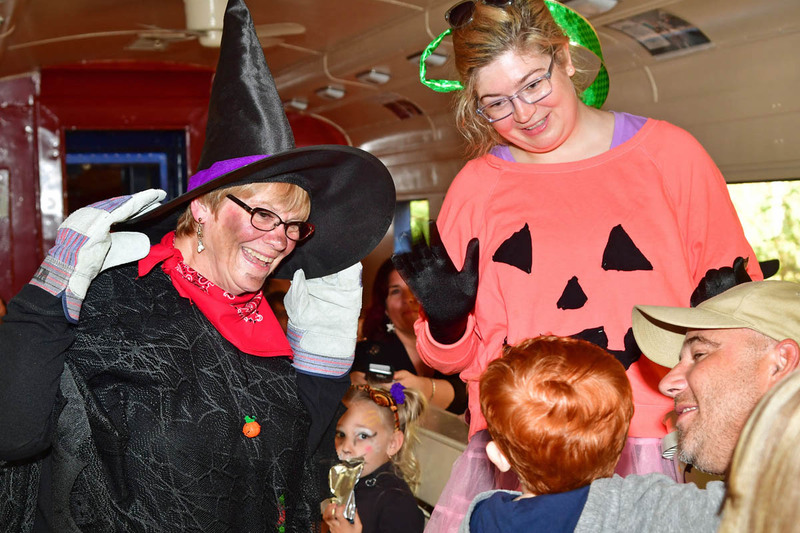 Our friendly railroad witch visits the Wilmington & Western to ride the train and visit with all children. All passengers in costume (both adults and children) ride for just $10 on this 1-hour round-trip to Mt. Cuba. This train does not lay over at the Mt. Cuba Picnic Grove. Larger groups (between 25 and 40 people) can rent our Parlor Car to have a private party aboard the train. The Parlor Car is a larger space with plenty of room to set up food and beverages for your party. Our friendly witch will visit with your group during the trip.